Now in its sixth edition, the new Douglas-Westwood (DW) World Offshore Wind Market Forecast provides a ten year view of the sector through to 2024. Cumulative offshore wind capacity is forecast to reach 57GW, driven by the continued development of established markets such as the UK, Germany and China and bolstered by emerging markets including the US and France.Over 5.3GW of capacity is expected to be installed in 2015, with additions anticipated to remain on an upward trend, peaking at 7.5GW in 2020. Capital Expenditure will total €240 billion (bn) between 2015 and 2024. However, these figures only include projects which have passed the conceptual phase of development, resulting in a large potential for upside post-2020 totalling €60bn. Capital costs have reduced recently, predominantly due to the larger sizes of turbines installed, resulting in less infrastructure (such as support structures) being required. This upsizing presents new challenges for installation contractors but should result in lower operational expenditures once wind farms become operational.The UK will install more than 11GW over the next ten years, with most of this expected to occur by 2022, as Round 3 developments take place. Germany will also install over 11GW, with a longer term outlook predicting activity levels will recover in 2018 following a slowdown in 2016-17. China is expected to install over 8GW of capacity – this is lower than previously targeted, but still represents a strong growth market.Emerging markets include countries such as the US and France, which are expected to have their first operational wind farms in 2015 and 2017 respectively. The US is expected to install 1.8GW of offshore capacity over the next decade, and France 3.2GW. Other emerging markets include countries with historically low levels of offshore wind activity, such as Sweden, Denmark and Belgium. Methodology – the report uses research from DWs proprietary ‘World LNG Projects Database’, an in-house information system exclusive to DW. Our global analyst team is involved in the gathering and analysis of FLNG market data through primary research and professional networks. A project-by-project review of development prospects drives a data-rich market model and forecast; with the timing of expenditure phased to reflect the commercial structures of likely projects. Market forecasts – comprehensive examination, analysis and 14-year coverage of FLNG expenditure. Concise report layout – consistent with DWs commitment to delivering value for our clients, all our market forecasts have a concise layout consisting of industry background and supporting materials condensed to enable quick review with ‘speed-read summaries of key points throughout. An essential report – for engineering houses, contractors, shipping companies, vessel lease operators, shipbuilders, oil & gas operators, gas utilities and financial institutions wanting to better understand where and when to make investment decisions. The report is essential for design engineering houses, engineering, procurement and construction contractors, technology providers, shipping companies, LNG vessel owners, shipbuilders, oil & gas operators, gas utilities, financial institutions and government agencies & departments wanting to make more informed investment decisions. Detailed methodology – the report uses research from DWs proprietary ‘World LNG Projects Database, an in-house information system exclusive to DW. Our global analyst team is involved in the gathering and analysis of the LNG market data through primary research and professional networks. A project-by-project review of development prospects drives a data-rich market model and forecast; with the timing of expenditure phased to reflect the commercial structures of likely projects. Energy world is expected to witness the start of operations of 64 FPSOs over the course of the next five years giving a strong push to offshore oil and gas production. However, weak oil prices may discourage oil and gas companies from moving ahead on their final investment decisions. This could affect the start-up of several planned FPSOs in the world. Brazil has been at the forefront of industry, with the country already deploying 17 FPSOs from 2009 to 2014. Furthermore, Brazil is expected to deploy another 25 FPSOs by 2019. Recently, Brazil has made hundreds of discoveries in its offshore region, especially in the sub-salt region, and FPSOs are a convenient and cost effective way to develop the fields containing these discoveries. Our latest Global FPSO Industry Outlook report provides detailed data of FPSOs that were brought online from 2009 to 2014 by key regions in the world, with forecasts up to 2019. 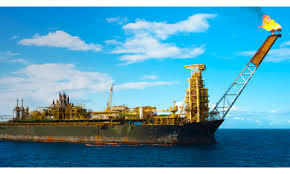 Get more insights on how Brazil leads record FPSO deployments, in spite of deteriorated project economics.